Artemis Racing at full speed winning the America's Cup World Series event in Bermuda. Artemis Racing made a great start in race one, and led most of the way before being pipped by Oracle Team USA at the finish line. 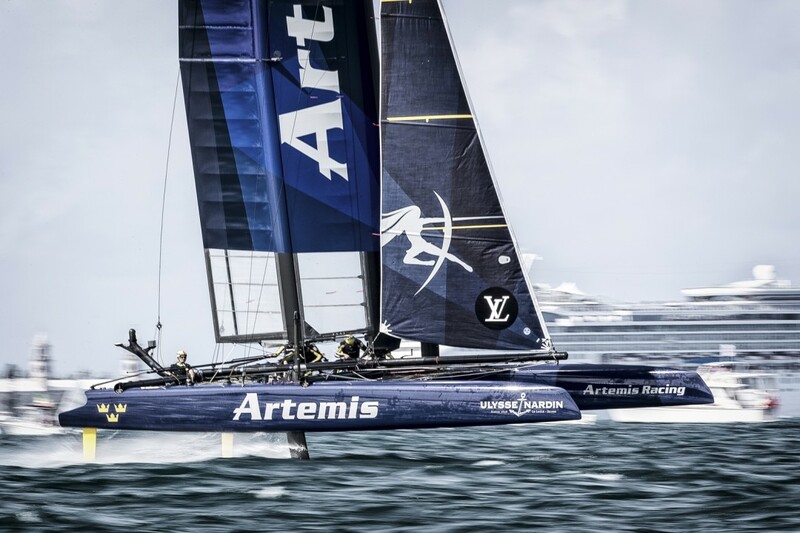 In the pre-start of race two, with just a few minutes of the countdown left, the team was involved in a collision with an Umpire boat, incurring serious damage, and it appeared that Artemis Racing would be knocked out of the event. Just moments before the starting gun fired, the team ducked behind the Japanese boat, and as Outteridge turned up towards the line, he was confronted with an Umpire boat heading directly towards him. The closing speed would have been in excess of 25 knots. 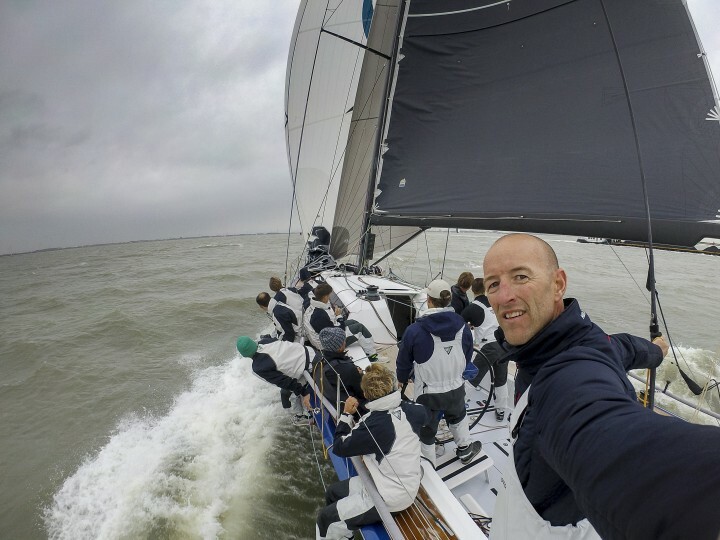 The Artemis Racing squad stripped off the broken bowsprit and the now useless Code Zero sail in record time. After a quick check for reliability and with less than two minutes to spare, the team lined up for the next start. Incredibly, they blasted off the starting line with more speed than anyone else and won not only the start but also the second race. In this photo you see them on the first run after their flawless start in race 2. Note the missing bowsprit! In the third and final race, the Swedish team needed to make a pass on the last leg, and pulled off a fantastic foiling gybe to grab a fourth place finish and secure the points needed to win the America's Cup World Series event in Bermuda!